Devoloped in late 2015, the Cast Aluminum Clinesmith Steel has received a lot of attention with it's remarkable sustain and tone. This instrument is a hollow all cast aluminum instrument, polished top and sides with traditional black top to go with the felted back, with finely polished graphics and frets. Available in short (22.5) as well as long (24.875) scale lengths. String spacing at the nut option of 2.25 or 2.375. 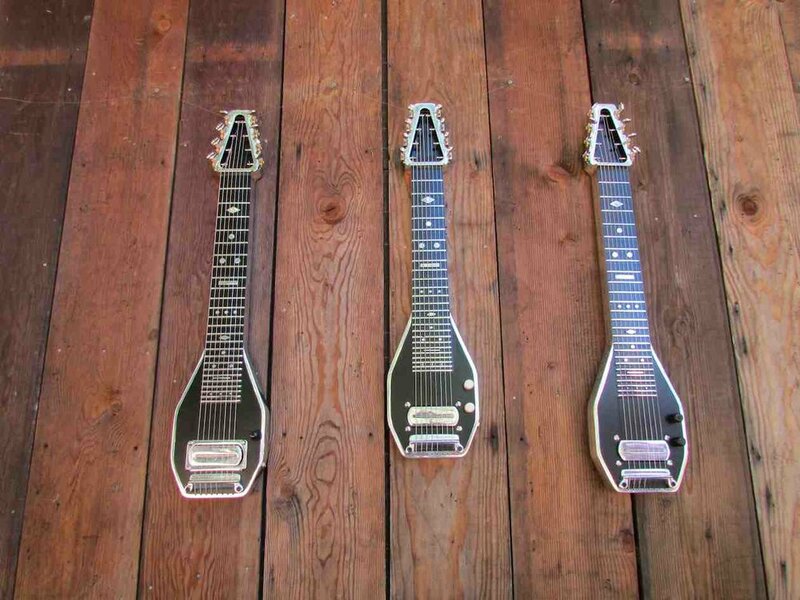 Deluxe 34 Stands, makes excellent stands for all of my lap steel models.